Manipulate sound like never before! 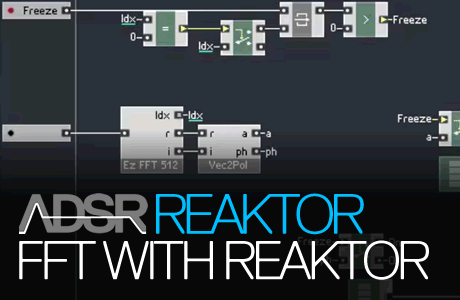 Learn how to use fast fourier transform (FFT) with Reaktor. This six-part course teaches you everything from the basics of FFT and how to analyze audio components; through to how to make and use several different effects including a spectral delay, a spectral freeze and a time-stretch effect. Included in the course materials are 5 example ensembles that provide a practical base for you to follow along and experiment as you discover the might of FFT modules. Disclaimer – This course assumes a working knowledge of Reaktor, Reaktor Core and in particular Core arrays. 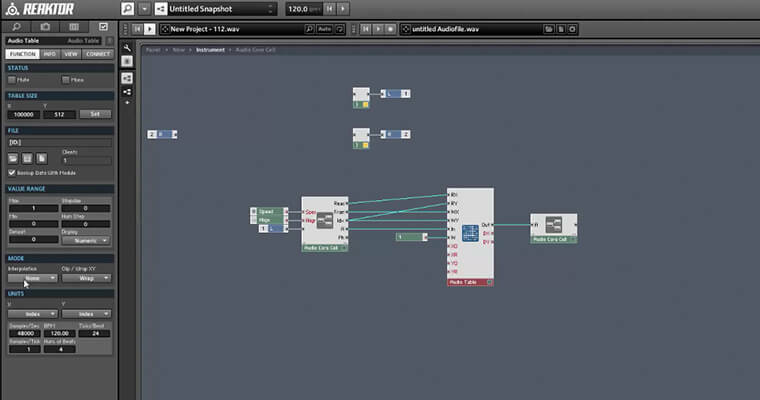 If you are unfamiliar with this environment you can check out our course on Reaktor Core. It also really helps to have an understanding of algebra as there is a fair amount of maths involved. 5.9.2 required. 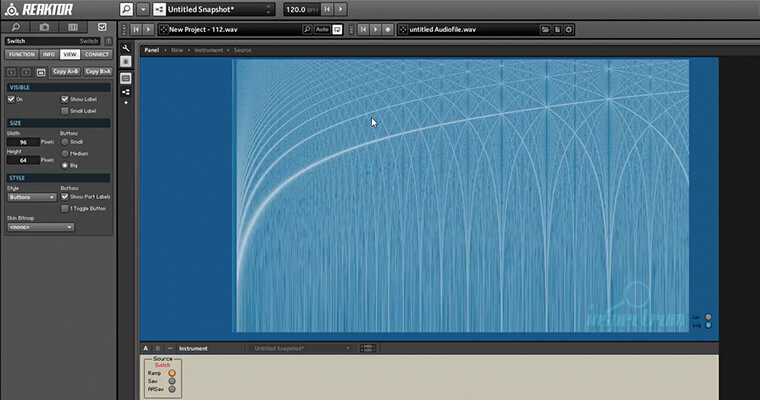 Master the basics of FFT using the ezFFT macro collection from the Reaktor User Library. Come to grips with the macros we’ll be using for this course and how they interact with each other to give us information about the audio input. We’ll touch on some shortcomings of FFT plus how to use the ensembles provided with this course. 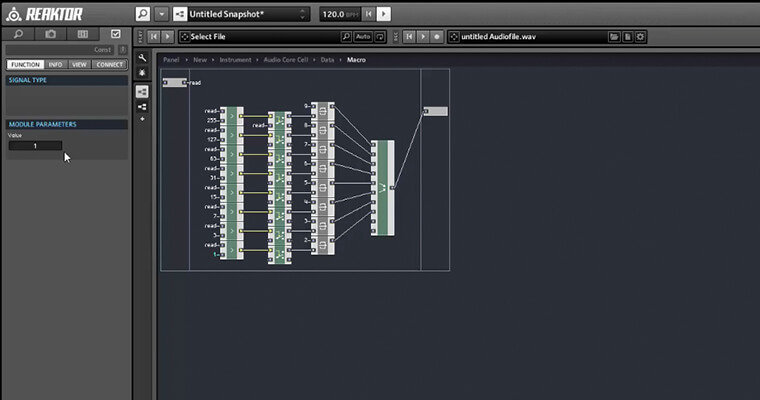 This video covers the use of FFT to analyze audio components. 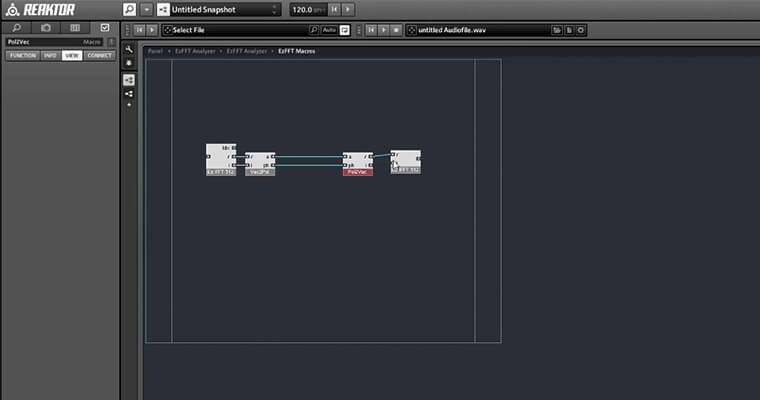 Using the ensemble provided, you will learn how to record the FFT output of an audio signal over time and graph it using a Multi Display module. With these tools, you’ll be able to get a fuller picture of a signal versus the ezFFT Analyzer ensemble that is provided with ezFFT. 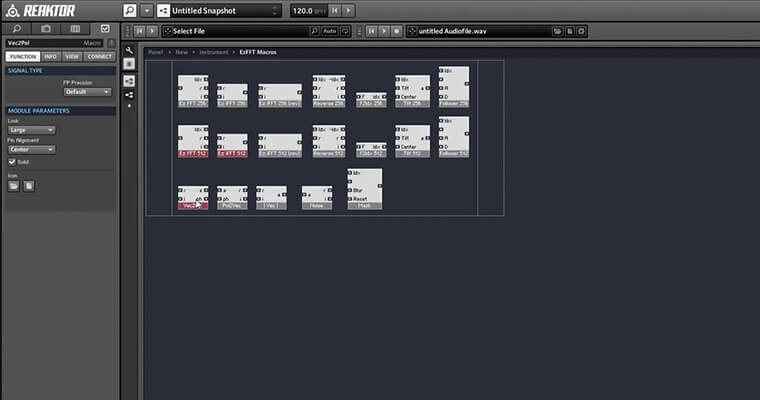 This is a particularly invaluable tool when creating audio modules that may create aliasing, such as oscillators, filters, waveshapers, and more. In this video module you will discover a simple method for removing a constant noise source from a signal using a recording from 1929 as a working example. FFT is used to approximate and subtract the noisy component of the signal. An ensemble is provided showing a basic implementation. With the basics covered we can now start to work on some signature FFT effects. In this video you’ll expand on the ideas introduced in the previous video to make the spectral freeze. The spectrum of the incoming signal is paused and stretched into infinity. A simple ensemble is given. This video builds on your options with FFT, this time by implementing a time stretch effect. 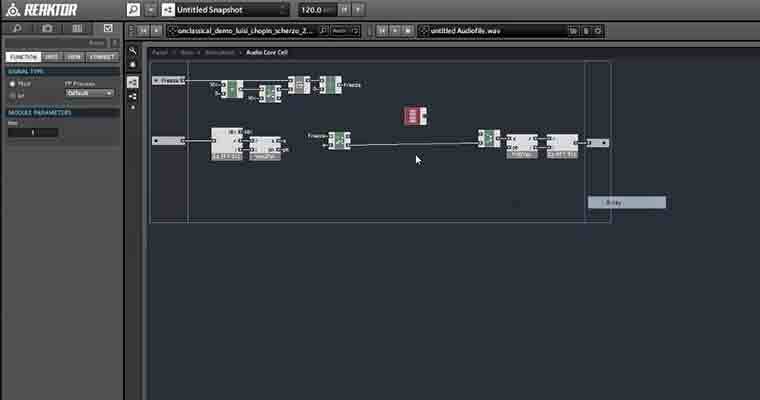 Using a massive primary data structure, we can timestretch incoming audio data on the fly. Again, a sample ensemble is provided. Changing gears, this long video shows how to create a spectral delay effect by operating on FFT data instead of audio data. You’ll achieve this by understanding how to split the data into frequency bands and apply different delay effects to each band individually. An example ensemble is given.